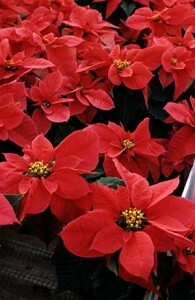 How to Choose the Right Poinsettia for You? Welcome to the North American Poinsettia Trials – your portal to the latest in complete poinsettia information. This site brings together information from four trial locations ranging from the Vineland Research Station, Ontario, in the north to the University of Florida, Gainesville, in the south. North Carolina State University and Homewood Nursery in Raleigh covers the central United States. This trial program has been evaluating poinsettias, in cooperation with the poinsettia breeder companies, since it was started in 1993.